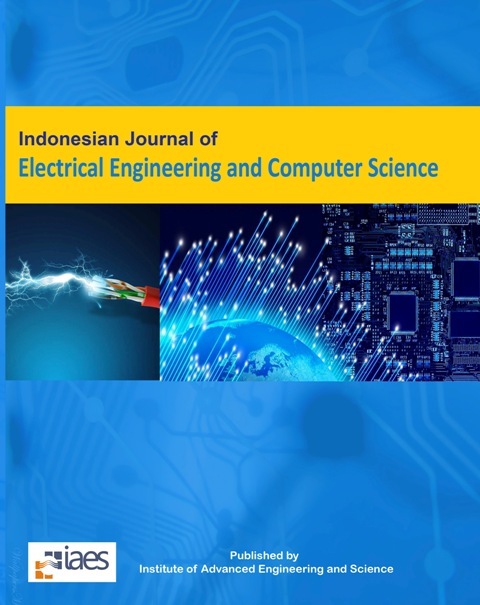 Indonesian Journal of Electrical Engineering and Computer Science (p-ISSN: 2502-4752, e-ISSN: 2502-4760) (formerly TELKOMNIKA Indonesian Journal of Electrical Engineering, p-ISSN 2302-4046, e-ISSN 2460-7673), is a monthly peer reviewed International Journal in English, indexed by Scopus, EI (INSPEC, IET), Google Scholar Metrics, ProQuest, EBSCO, DOAJ, BASE, OALib, SHERPA/RoMEO etc. 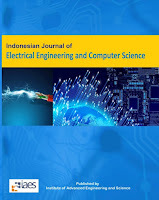 The aim of this journal is to publish high-quality articles dedicated to all aspects of the latest outstanding developments in the field of electrical engineering. Its scope encompasses the applications of Telecommunication and Information Technology, Applied Computing and Computer, Instrumentation and Control, Electrical (Power), and Electronics Engineering. The criteria for acceptance of manuscripts are the quality of work. This will concretely be reflected in the following aspects: novelty & practical impact; technical soundness; appropriateness and adequacy of: literature review, background discussion & analysis of issues; and presentation (overall organization, English & readability). For a contribution to be acceptable for publication, these points should be at least in middle level. Authors should submit only papers that have been carefully proofread and polished to avoid having to re-work the manuscript later in the review process. Authors should present their work honestly without fabrication, falsification, plagiarism or inappropriate data manipulation. Manuscripts are accepted with the understanding that they are original or extended version of previously published papers in conferences and/or journals and that, if the work received an official sponsorship, it has been duly released for open publication. Before submission please make sure that your paper is prepared using the journal paper template. It is available as word and latex version. Open access: all research articles published in this journal is open access and immediately accessible online to the entire global research community. Our open access policy ensures high visibility and maximum exposure for your work-anyone with online access can read your article. Quality, reputation and high standard of peer review: This journal has a high standard of peer review. Each editor and reviewer conduct the evaluation of manuscripts objectively and fairly. Included in all major bibliographic databases: All articles published in this journal is included in many bibliographic databases so that your work can be found easily and cited by researchers around the world.